Free things to do in Manchester this week ft. Comedy Skills + more. For our first pick of free things to do in Manchester this week, we’ve got this unique taster session at the Google Digital Garage on King Street. John Cooper – perhaps better known as his stage character Danny Pensive – is a comedian and improviser with years of experience, and he brings this to bear in a course that aims to furnish you with lecture and presentation skills. John shows how simple stagecraft and line-delivery techniques can bring your public speaking to life. This is a must-attend for anyone who’s ever fallen flat in a meeting. On Monday night, Withington’s Fuel Café Bar hosts An Uncomfortable Evening, a self-consciously weird music night. 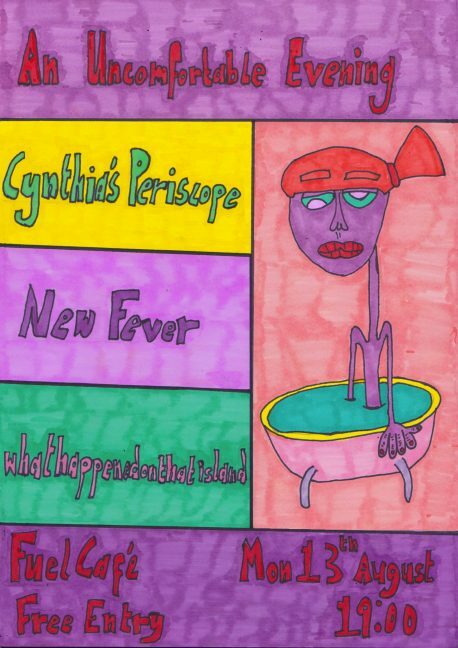 The popular vegetarian café and watering hole welcomes three bands into its Twin Peaks-inspired gig room: Melodic weirdo pop from Cynthia’s Periscope, Welsh lo-fi electronica courtesy of New Fever, and local purveyors of impenetrable patchwork music whathappenedonthatisland. This Wednesday is your last chance to catch Women Behind the Lens at the National Football Museum – an exhibition of the work of female sports photographers from the past forty years. Check out our full preview for more information. On Thursday, Charlotte Street office space Neo is being taken over by the mental health charity project It’s Okay To Talk, who’ll be hosting a mixed-media exhibition on the subject of mental health. Photography, sculpture and traditional painting are all represented, and all tackling the worthy subject of opening up about mental health problems. As well as the artwork – which has been gathered from open submissions – there will also be a number of speakers associated with the project.